Would you like to take part in a magic trick, by turning 89p into a £3 donation to charity AND making a seriously ill child or their sibling of your choice smile? All you need to do is go to www.funkypigeon.com, create an account (one account per an email address) and the secret behind the trick, add the referral code when registering as 471406. 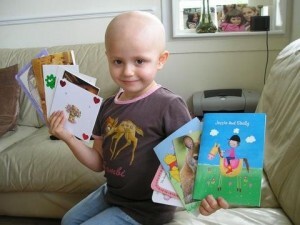 Then choose a card, send it to your chosen Pal or sibling and enter their details. When you check out Funky Pigeon will take 50% off your order meaning a card costs a total of 89p, as you entered our referral code they pay £3 into our account as soon as you place your first order without the need to say ‘abracadabra’ and we use it to make other Post Pal children smile.